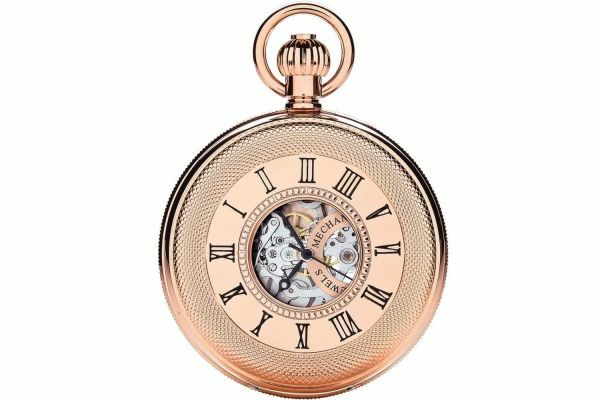 This stunning mens pocket watch with chain from Royal London is made of high quality Rose Gold PVD on solid stainless steel with double opening cover and skeleton view. White Roman Dial. Powered by a mechanical movement, It comes with a 2 year guarantee.